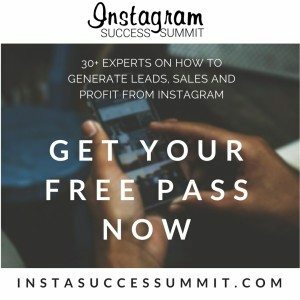 Is your Business on Instagram yet? If you haven’t started using Instagram for your business, you’re missing out. Not only on product awareness, but definitely sales and profit as well. That’s why we want you to be the first to know about this year’s premier Instagram marketing event. 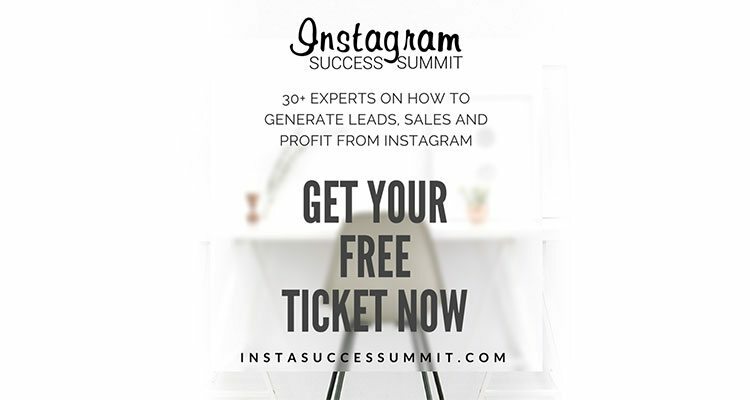 Learn from 30+ experts on how to grow your tribe, get leads and more sales from Instagram at the Instagram Success Summit, an online conference running from June 7-10. As an official sponsor of the event, we’ve been given a small amount of free tickets to give away to our readers, so make sure you get yours now. These are facts that not many business owners know. Most businesses are focused on LinkedIn, Facebook and Twitter, as many are hesitant to take on the visual format of Instagram. Meanwhile Instagram is growing, and its growing quickly. It still holds an amazing opportunity for you to get ahead of your competition. Think about it: how many platforms give you that opportunity today? The amazing lineup of entrepreneurs, small business owners, consultants etc. 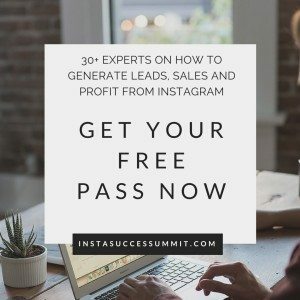 are all driving a huge amount of leads through Instagram. Here’s what will be shared at the event. According to the host, Liam Austin, half of the 30+ sessions are already recorded and do you know what he was most surprised about? The Revenue these Entrepreneurs are making directly from Instagram… It’s way more than you’d think. If you’re not making the most of Instagram – are you leaving money on the table? Since this is an online-only event, there’s no need to worry about expensive flights or accommodation – just attend from the comfort of your home or office. Our friends over at Small Today have set aside a block of complimentary tickets to the Instagram Success Summit specially for Designhill Blog Subscribers. Want more leads for your business, secure your free ticket to this event now. Next Next post: How to Write & Build Effective Emails for Better Conversion?